“Hello Owen, we’ve listed some more natural building workshops at Bottom Leaf Intentional Community. Next will be a bottle wall then an earth plastering workshop. Our last in this series will be building an earthen floor but we haven’t listed that one yet. 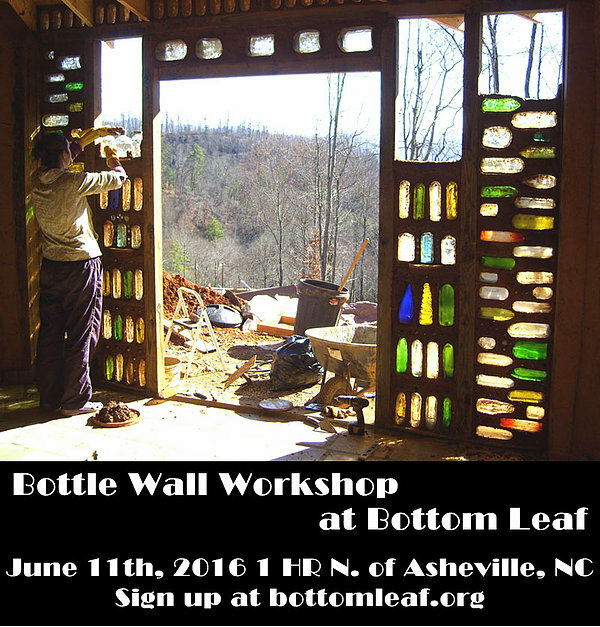 Bottom Leaf will be hosting a bottle wall workshop on Saturday, June 11th at our community property one hour north of Asheville, NC. For those who are unfamiliar, bottle walls are built using glass bottles and earthen mortar. Bottle walls are beautiful and allow nice, diffuse light into a room, evoking a stained-glass effect. The hours of the workshop will be from 10am to 5pm on Saturday with an hour-long break for lunch. We will serve lunch and have an optional cookout for dinner (BYOP – bring your own protein). Enrollment is limited to 6 people. The price of the class is $25 off ($125 per person) if signed up for before May 28th. The price will increase to $150 a person on May 28th. 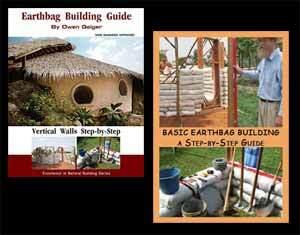 There will be 2 other single-day workshops in the near future, one for earth plastering and one for earthen floors. This sounds like a great start for someone like me who has been interested in building an earth ship or sustainable house for years! However I’m located in Southern California for right now. Do you have any suggestions on how to learn more or if you have any other events scheduled near me? Thank you. Also consider buying my ebook and DVD that show every step of construction in detail. What people need most is to just jump in and start practicing the processes. Earthbag is simple. No need to spend tons of money to learn.